Anyone who travels often enough for work knows there’s a few common speed bumps that come with the territory. From figuring out how to look professional (but still comfy enough to hail a cab, drag a suitcase, and stand in security lines) to finding a functional tote that can store it all, work travel can often feel mega-intimidating. Which is why, we decided to help give you a head start (and a few tried-and-true tips we’ve learned) with our newest Travel Dilemmas, Solved video. Just press play, and remember: You don’t have to be the boss to travel like one. 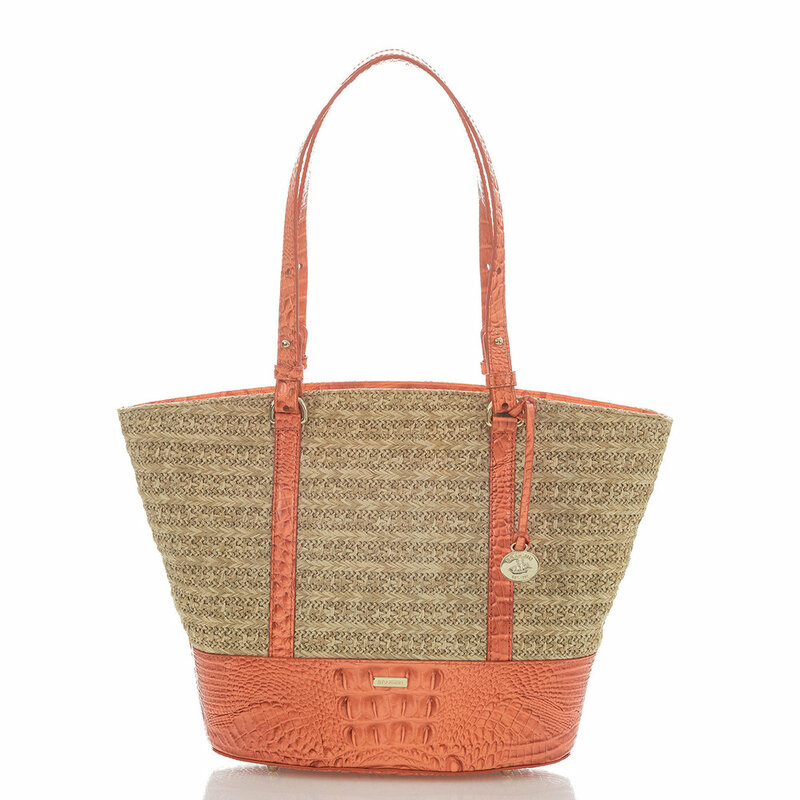 Posted on April 18, 2019 by Brahmin Handbags. In the spirit of celebrating these diverse relationships and the women we admire most, we curated a fun gift guide to capture the ultimate picks for the various moms, mom-figures, and honorary moms in our lives. Because what better way to say “Thank you for all that you do” than with personalized picks made to fit into their busy worlds? And, let’s be honest… a new handbag beats flowers any day of the week. 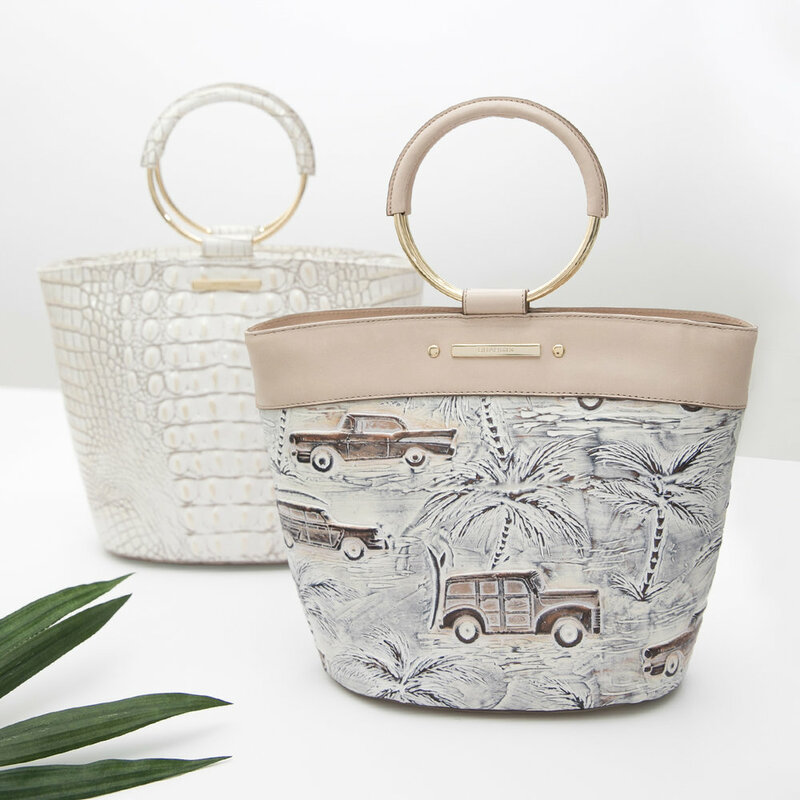 Posted on April 16, 2019 by Brahmin Handbags. There’s something about spring that inspires us to reach outside of our comfort zones and approach dressing with a more fun, colorful approach. Where we might usually opt for neutral shades or everyday textures, we find ourselves reaching for styles with a bit more oomph. Think: fashion forward materials like intricately woven leathers on top of cool canvas, or well-placed pops of straw with colorful leather trim. Ready to shake things up this season, too? You’re in the right place. Below, we’ve rounded up a few of our favorite on-trend textures from the spring 2019 collection to help get your most creative ensembles started. 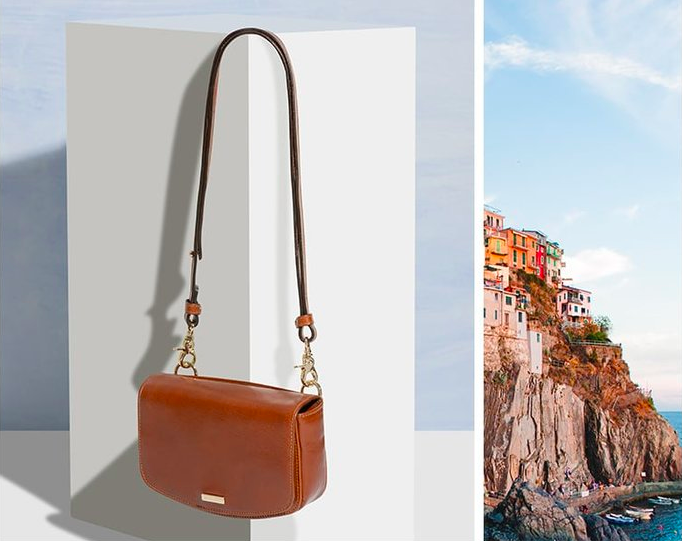 Posted on March 9, 2019 by Brahmin Handbags and tagged spring 19. If you’ve been following us for a while on social media, you’ll know last year we launched the #BrahminTour in an effort to bring the best of Brahmin to your neck of the woods. We traveled the country near and far — from the birthplace of rock ’n’ roll to the Carolinas to back home in New England — seeing so many of you along the way. This year, we brought the tour back on the road, starting with one of our favorite charming spots: Charleston, South Carolina. In celebration of the launch of our trunk show at The Skinny Dip, we hosted a few of our favorite local bloggers — from Kristin Chambless to Julia Engel to Megan Pinckney — to preview our spring line before its public debut this weekend. With specialty sips, cute photo moments, and must-have bags around every corner, the night was one to remember. The best part? Our trunk show collection is now fully available to shop at The Skinny Dip, Charleston today through Sunday, 3/10. 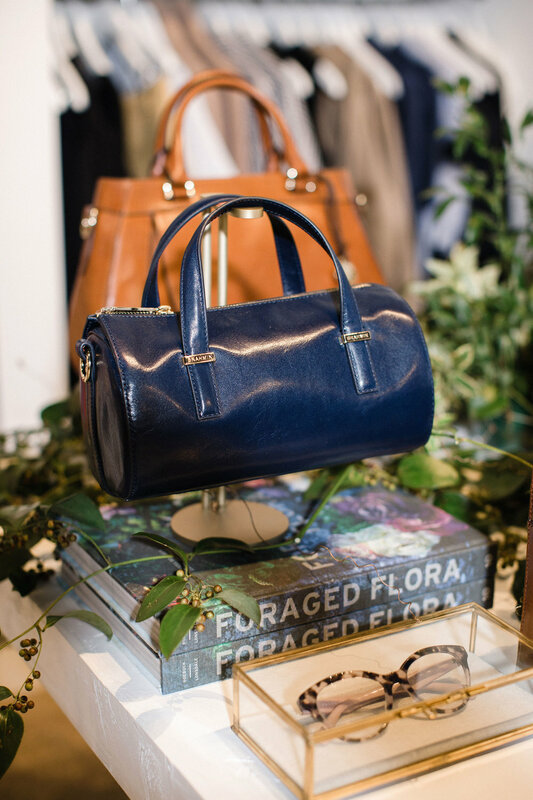 Swing by to say hi and leave with a new handbag (or two — who’s counting?). Can’t make it? Stay up to date here with dates and locations of our upcoming stops. 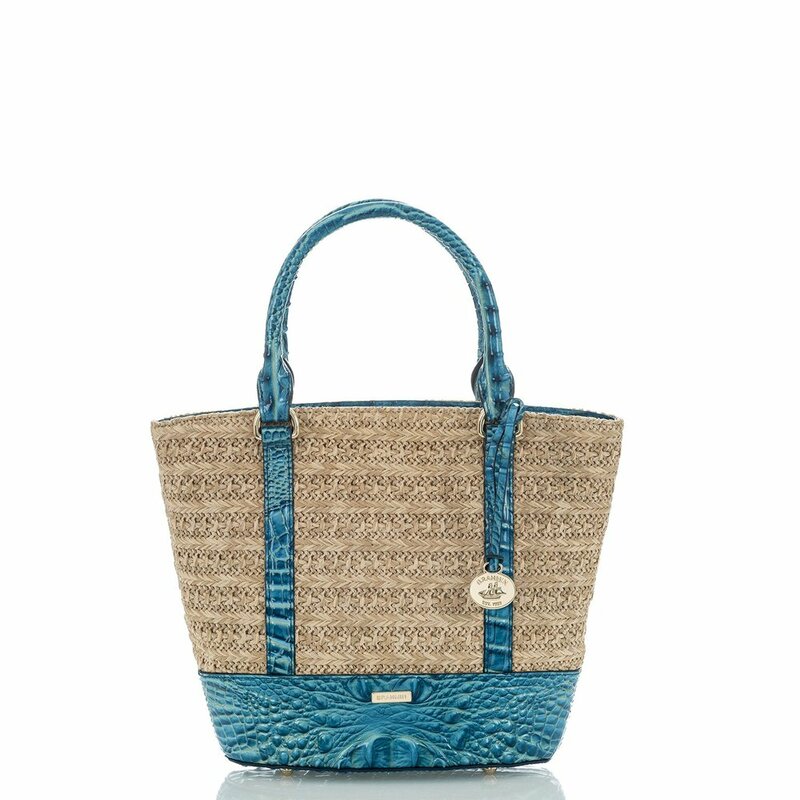 Posted on March 8, 2019 by Brahmin Handbags. It’s not every day you see a print that literally makes you stop and smile — but that’s exactly what happened the first time our design team gave us a glimpse of spring’s new Multi Pompano collection. The cheeky embossed print feels like sweet treat and a tropical escape all wrapped into one, and in a mix of styles, there’s no reason not wear it morning, noon, and night. After all, a pineapple handbag a day keeps the blues away, right? Posted on February 28, 2019 by Brahmin Handbags. So, you (finally) booked a vacation. Let us first say, congrats! Now that you have the logistics planned, it’s time get started on the really hard part: figuring out what to pack. If you’re anything like us (we have a sneaking suspicion you are) narrowing down which of your handbags will get you the most mileage — while still feeling fun and fresh — isn’t easy. Before you go and toss in the proverbial towel, our destination-inspired spring collection is here to lend a hand with some stylish new options. Below, get to know the colorful crossbodies, spacious straw totes, and even a croc-shaped luggage tag that will making vacation packing (and dressing) a total breeze. 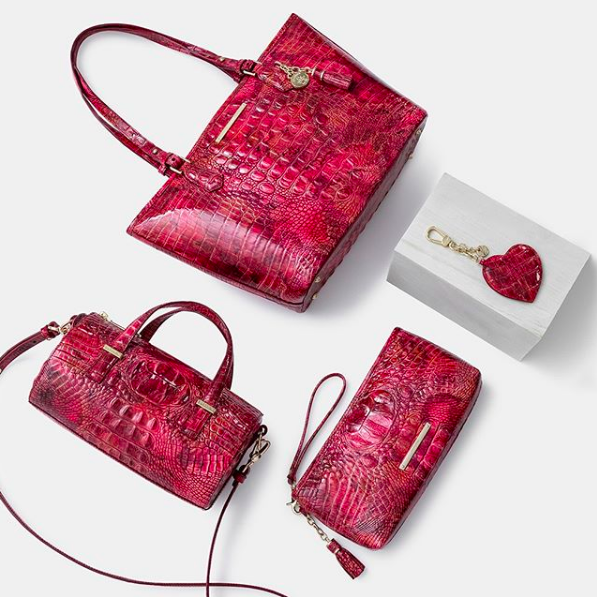 Posted on February 15, 2019 by Brahmin Handbags.